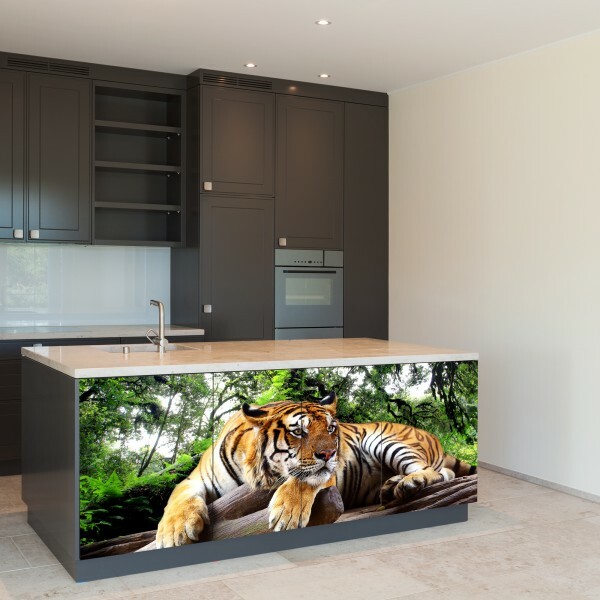 Printing on tempered glass made in durable and odorless UV technology. Pictures or inspirational landscapes – all in the highest quality and colour saturation. 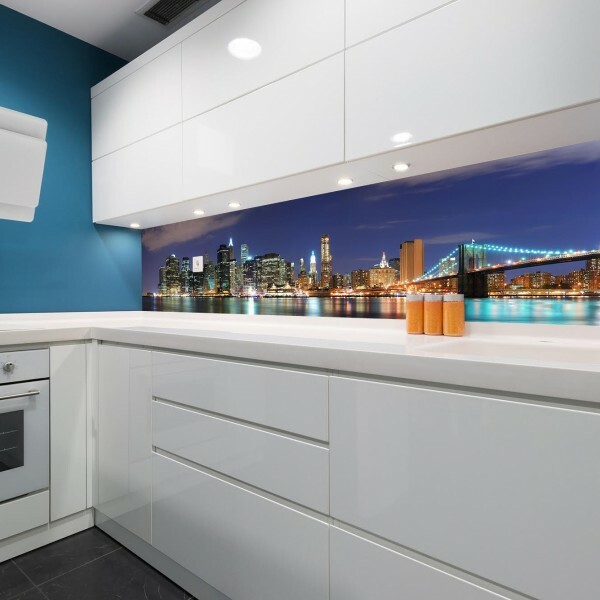 Change your interior with attractive graphics in your kitchen, living room or bathroom. 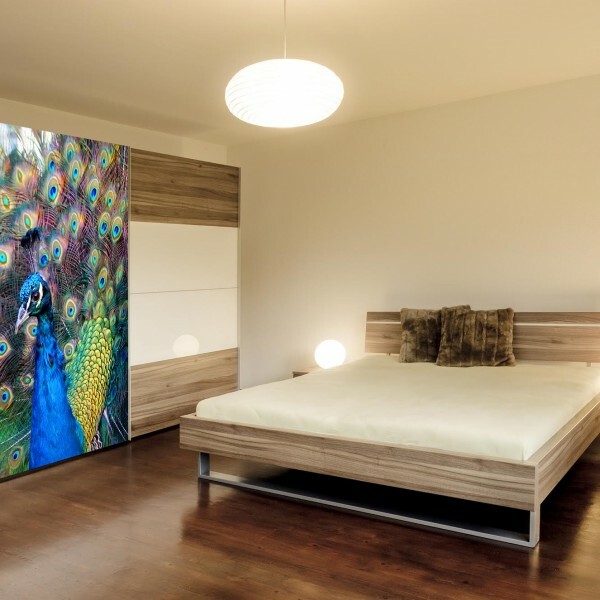 Already today you can enrich the interior of your home or office, glass screens with a high quality photo, any graphics or paintings. You are only limited by your imagination. 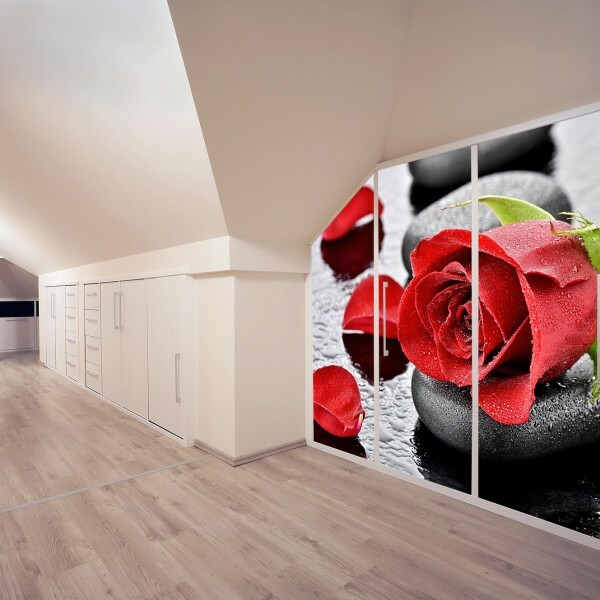 Printing on glass panels – where to start? In the first place it is necessary to select the appropriate graphics. 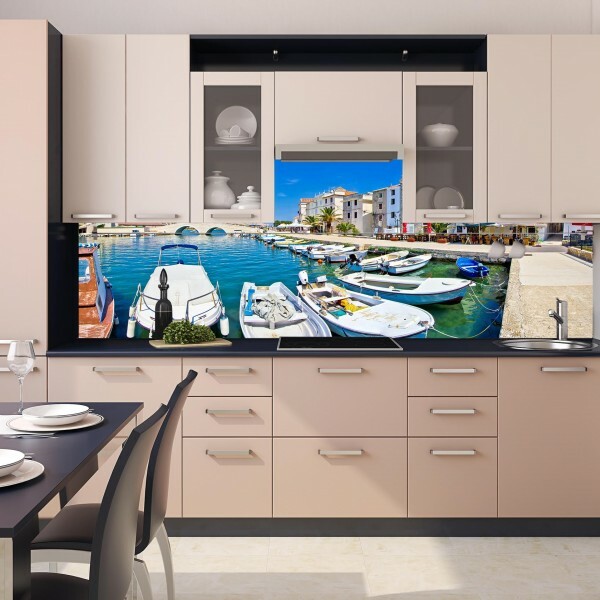 At the disposal of our clients (in the price of printing), we provide the base of Adobe Stock images (it was Fotolia) and a professional visualization prepared by our graphic designers. Please feel free to contact us if You have any furher questions. 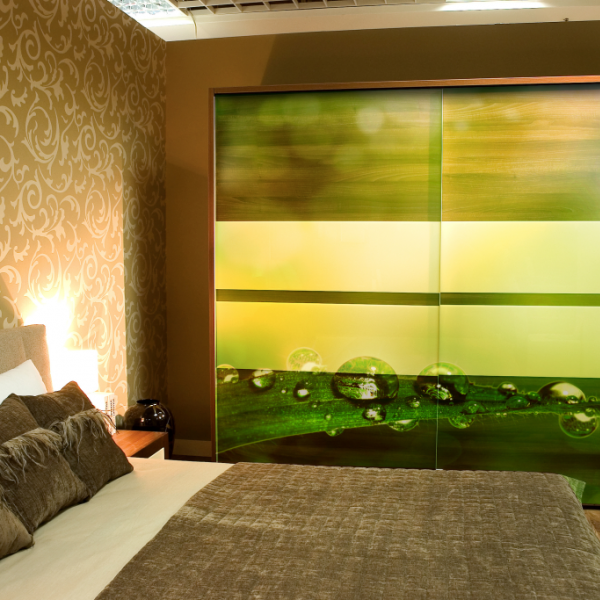 What is the purpose of the printed glass panels? 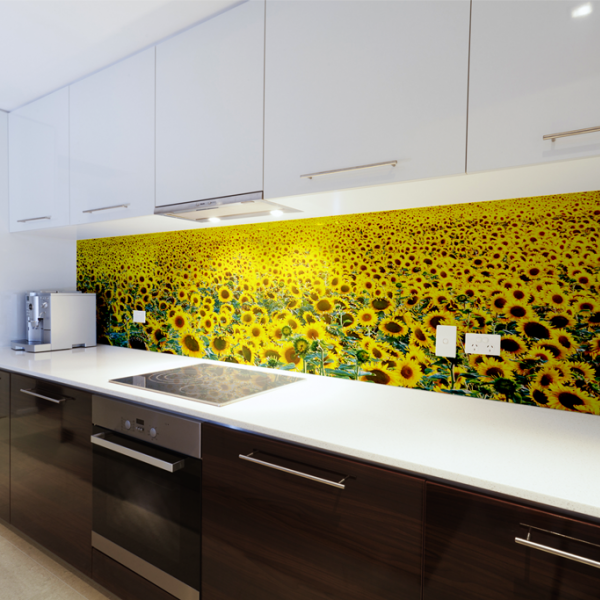 Is glass the only material intended for interiors? 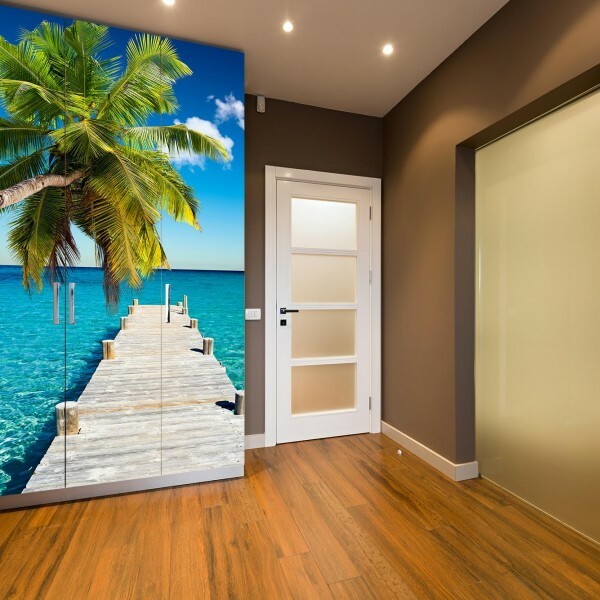 In our offer you will find not only printed glass, but also other materials intended for interior decoration, eg printed wood (printed wooden furniture), plexiglass with print or printed PVC plates. All prints are made in a production technology safe for health. What are the terms and conditions of the order? In order to meet the expectations of our clients, we print on our own materials, but also entrusted in a minimum order space of 1 sq m.
Printing takes place in UV technology, and the maximum printable area is 199 × 319 cm. The deadline for completing orders is about 5 business days (from the delivery of all materials necessary to start printing). Please also note that the maximum thickness of printed materials is 10 cm. In order to start the order, please contact our sales department. I agree to the processing of personal data (i.e. name, email address) for marketing purposes, i.e. to receive information about promotional campaigns, rebates and news by the LUXPOL GROUP, via electronic means of communication in the form of an e-mail message. Do you have questions about the product?